Having over a hundred teachers, Klein Cain could only have one teacher of the year. Recently, Tyrone Void has been announced the school’s teacher of the year. Void teaches business education classes, typing, and also coaches basketball. This allows him a variety of student interaction. 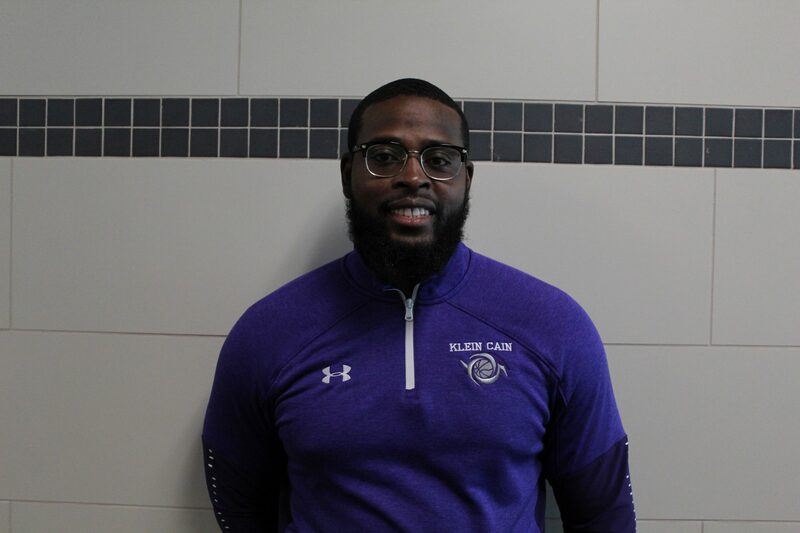 Void has been teaching for six years with this being his fifth year with Klein ISD. He taught one year at Cinco Ranch High School (Katy ISD), and three at Klein Forest High School (Klein ISD). This is his second year at Klein Cain High School. There are different ways for a teacher to be nominated. These are the main things that the faculty and staff members look for. Are experts in their field who guide students of all backgrounds and abilities to achieve excellence. Collaborate with colleagues, students, and families to create a school culture of respect and success. Deliberately connect the classroom and key stakeholders to foster a strong community at large. Demonstrate leadership and innovation in and outside of the classroom walls that embodies lifelong learning. Express themselves in an engaging and articulate way. Have been in the district for three or more years. If they are more relationship-driven with the students and others, and also do whatever it takes to help the students succeed, they are more likely to get nominated. Teachers being announced Teacher of the Year can mean a lot to them. It sometimes means that the hard work with going to work, teaching kids, putting in grades, and the student interaction has paid off. But even though they got Teacher of the Year, it doesn’t mean that their job is over. In addition, along with being announced the Teacher of the Year, the winner is surprised by administration and counselors. Even giving the award can be exciting because they’re proud of the winner and love seeing them become who they are. Principal Nicole Patin was able to congratulate Void for his achievement. Void has been involved in the school with not just his classes but the students he coaches in the court. He enjoys creating connections and memories with his students. Just like anybody else, teachers have bad days where things don’t go according to plan. However, there is always something that keeps them going and motivated. It’s actually a key thing in being the teacher of the year. It can mean having a close relationship with their students, faculty members, other teachers, or just their job in general. Moreover, Void appreciates what he’s gained by becoming a teacher. It’s an enormous part of his life and career.